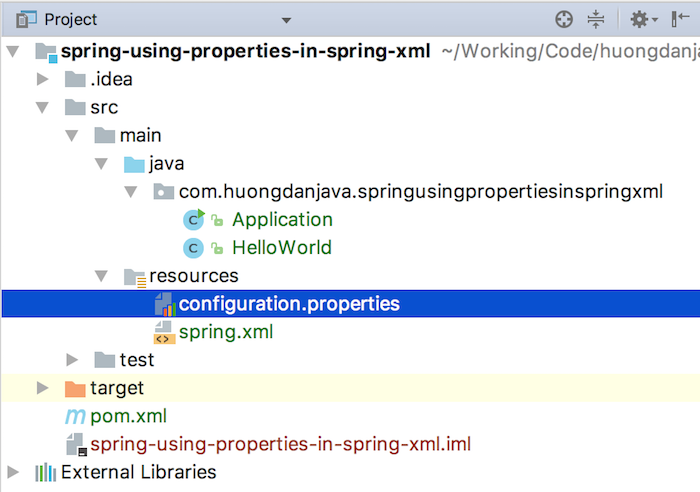 In some previous tutorial, I already introduce with you all about how to read properties file in Spring using PropertyPlaceholderConfigure object, namespace util or namespace context. 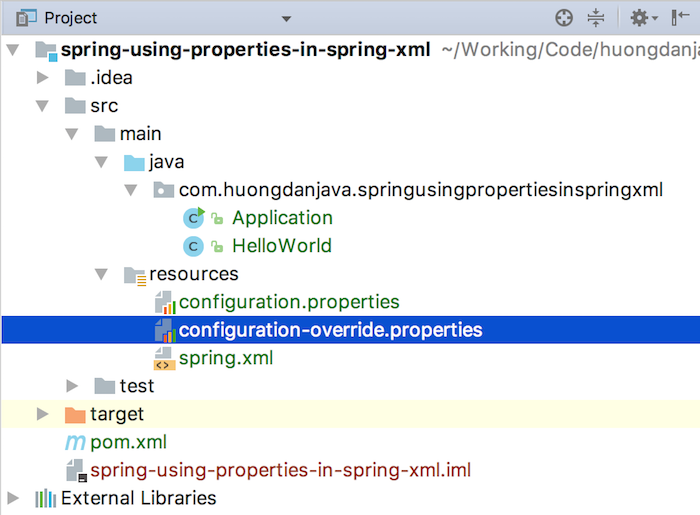 So, how we can use these properties in Spring configuration file. In this tutorial, I will guide you all about that. Here, I used namespace context to read the configuration.properties. With this declaration, Spring will ingest value of the property into beans in Spring configuration file automatically. Note, if a property was declared in multiple properties file then the value of this property will be in the last declaration properties file.